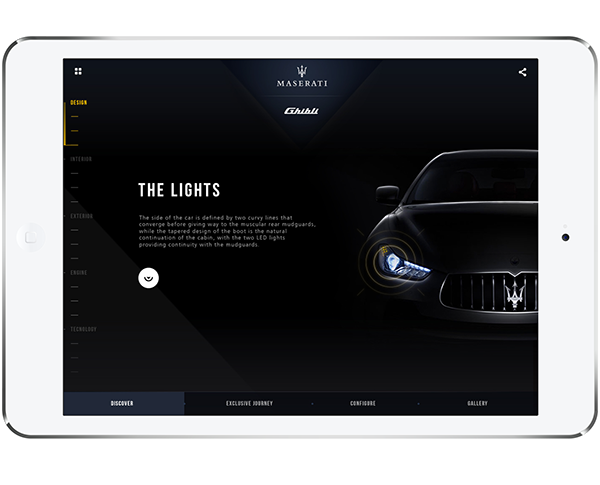 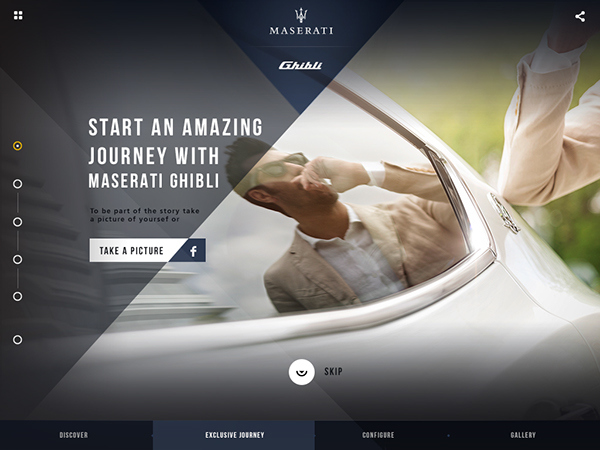 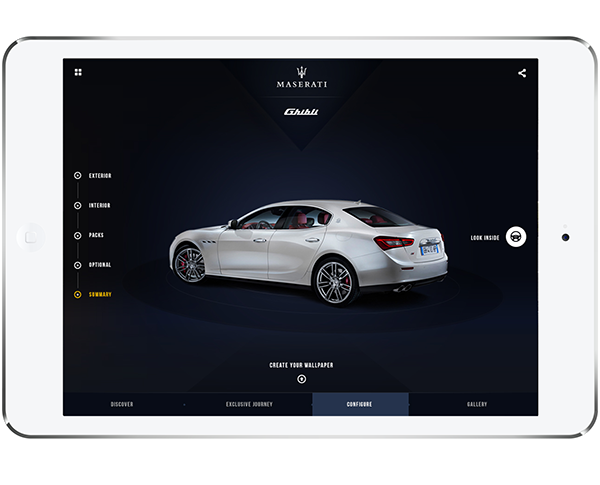 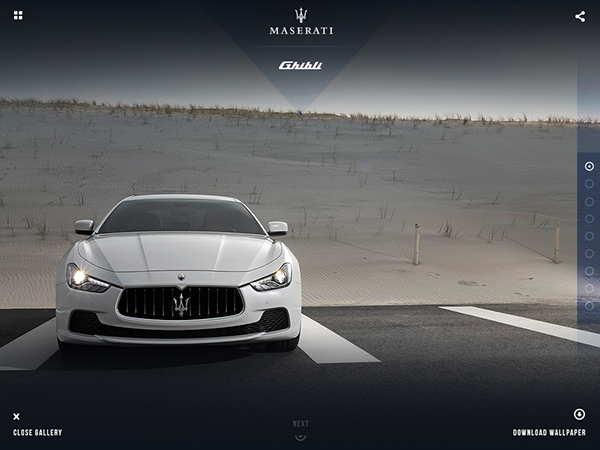 Project pitch for Maserati Ghlibi on tablet and mobile. 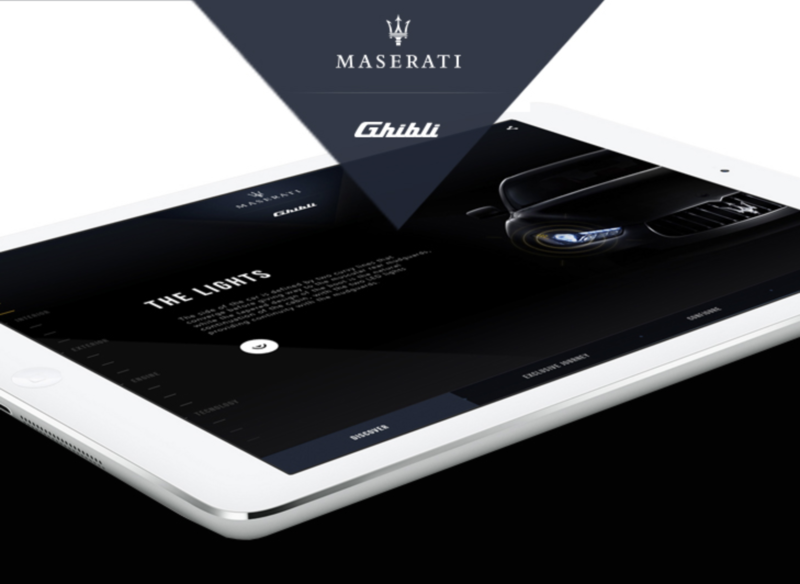 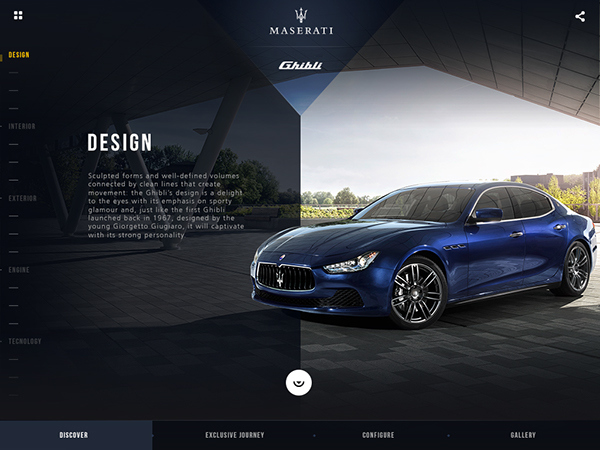 The aim was to create a mobile experience for the launch of the new Ghibli car, where user could browse all design features, technical information and be engaged with a gaming experience. 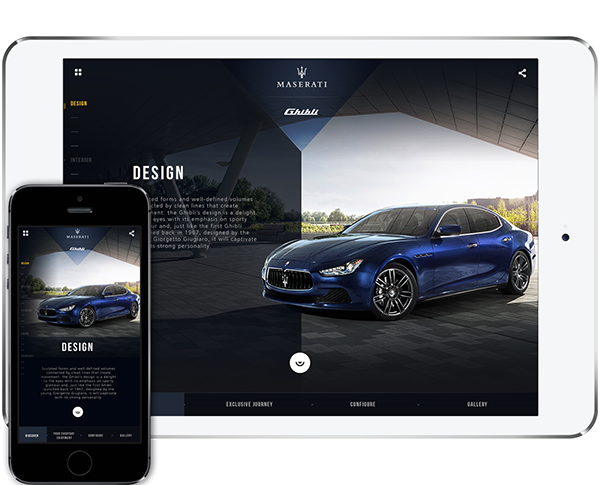 The project was done in LIQID. 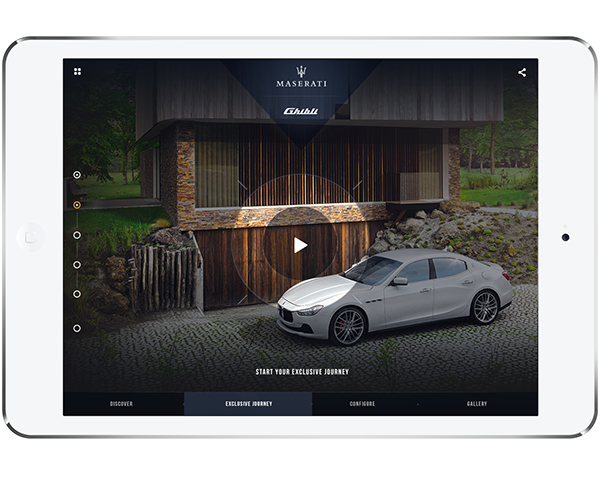 Engage users with a tailor made gaming experience.